Sam and Dave are on a mission. A mission to find something spectacular. So they dig a hole. And they keep digging. And they find . . . nothing. Yet the day turns out to be pretty spectacular after all. Attentive readers will be rewarded with a rare treasure in this witty story of looking for the extraordinary–and finding it in a manner you’d never expect. Sam and Dave dig a hole and shockingly miss each and every spectacular gem. The gems in this book often spark the interest of readers. Pair Sam and Dave Dig a Hole with nonfiction books about gems and crystals. 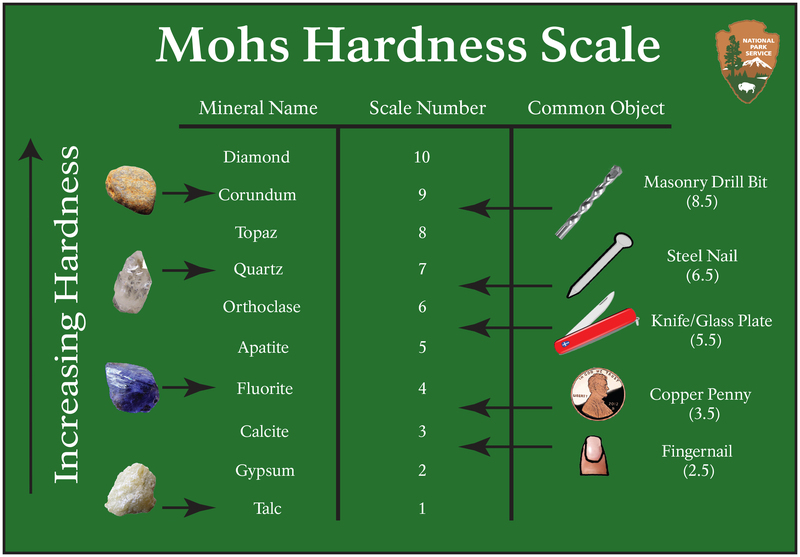 For the primary source pairing, introduce students to the Mohs scale of mineral hardness created by German geologist and mineralogist Friedrich Mohs in 1812. This scale ranks the hardness of minerals by their ability to be scratched by another mineral. For more information visit the Wikipedia page about the Mohs scale. Who do you think is the audience for this text?